Trouble is, politics is always subjective, not objective, so comparing different situations doesn't necessarily work very well. Sure - but since it's subjective why do so many people speak as if ISAF was objectively wrong? And why do so many who condemn ISAF either go along with similar action taken by their own nation, or fail to start a movement to apologise for those actions? There does seem to be a lot of "WE were right to stand up for our beliefs, THEY cannot stand up for their beliefs" about this. 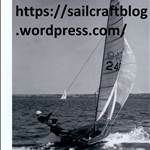 If sailing wants to be a world sport it has to put up with the world as it is. And here in the west we should remember there are many countries where they see our lifestyles and forms of government more as a dreadful warning than a shining example. We expect them to put up with our appalling behaviour (as they see it) so perhaps we need to put up with their appalling behaviour (as we see it). I see the Israeli Table Tennis team which was being subject to the same Malaysian welcome as the Israeli Sailing Team - but their world body threatened to impose sanctions on the Malaysians - has elected to pull out of the competition. Someone has told the Malaysians that they won't face sanctions as a result - so they have got off the hook again. The only people who can deal to this issue are the world bodies who are proving to be remarkably spineless. That's the same world table tennis body that once barred South Africa. If it was right then why is it wrong now? If it was wrong then, where is the apology to South Africans? Probably because the sport ban was imposed on South Africa by the Commonwealth Nations. South Africa was also suspended from the Commonwealth for its racial policies. There is no such ban on Israeli athletes, Malaysia is just a country that will bid for major world championships knowing that their government will not let Israeli sailors inside their borders. And ISAF are silly enough to approve the application and then let themselves get caught napping, when they don't follow up on a situation that had been developing since 2011. South Africa withdrew from the Commonwealth in 1961 after its people voted to become a republic. It was not suspended from the Commonwealth for its racist policies. Well, some of its people anyway. Don't forget that a lot of them didn't have a vote in those days. Very true, tragically (although if my wife's great uncle John X Merriman had been successful at the Union Conference, most of them would have; https://en.wikipedia.org/wiki/Cape_Qualified_Franchise ). And a lot of the best athletes were not allowed to go overseas, but apparently ISAF should have welcomed teams selected on racial grounds rather than ban them. Yes.... it looks as if the USA is out, for its restrictions on Cuban pros if nothing else. The home of the Olympics out; all the Commonwealth countries out; China is arguably out because of the way they force Taiwanese to compete under another flag. And that's from a few seconds of research. It looks as if Ireland or Montenegro or somewhere will be hosting about 144 world titles each year. The Irish never banned the English from anything?